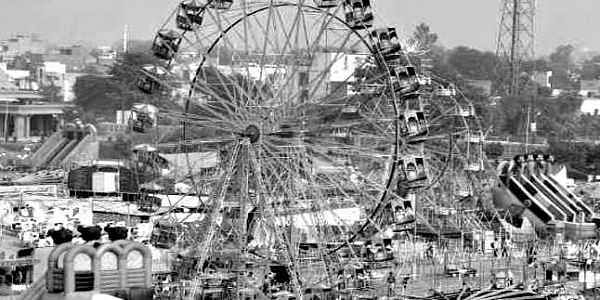 Lucknow Mahotsav, the annual fiesta celebrating the festive flavour and essence of the city of nawabs, has been postponed yet again. Lucknow Mahotsav, the annual fiesta celebrating the festive flavour and essence of the city of nawabs, has been postponed yet again. As a result, 2017 will not see the much-awaited cultural extravaganza. The 10-day event has a fixed calendar, usually from the last week of November to the first week of December. The who’s who of Bollywood, poets, singers, social thinkers and performers of other art forms gather in the city to delight the connoisseurs. A mushaira here, a kavi sammelan there, the marquee is abuzz with a variety of cultural activities. This time, it was postponed first to February and then to April because of the Board examinations in March. Uttar Pradesh has given India its first woman Governor and Chief Minister but Lucknow is set to make history tomorrow by electing its first woman mayor in 100 years. All parties have fielded women this time since the seat has been reserved for women. The Samajwadi Party has nominated Meera Vardhan, kin of educationist Acharya Narendra Dev, while the Congress has pitched Prema Awasthi, wife of former Congress legislator Surendra Nath. Lucknow has thrice sent a woman to the Lok Sabha, with Sheila Kaul being elected in 1971, 1980 and 1984. Freedom fighters Sarojini Naidu was the country’s first woman Governor (1947-49) while Sucheta Kriplani was the first CM (1963-67). Sujata’s solitude may end soon. The female giraffe at Lucknow’s Wazid Ali Shah Zoological Garden is likely to be joined by a mate from Mysore zoo. Lucknow zoo authorities had recently visited the Mysore zoo and made a request for transfer of a male giraffe. Sujata has been lonely since her male partner Abhinav suffered a heart attack and died two years ago. The deserted zebra enclosure at the Lucknow zoo will also be coming alive if the Mysore zoo authorities are generous enough and lend a male giraffe and a couple of Zebras to their counterparts in Lucknow. Lucknow is among the most polluted cities in the country. On many days, Lucknow’s air quality index (AQI) has been worse than even the national capital. The famed ‘sham-e-Awadh’ is no longer colourful as a thick cloud of smog starts enveloping the city even before evening falls. The district administration has now woken up and banned fireworks at weddings and other revelries. The district magistrate has issued an order banning ‘atishbaazi’ till January 15 in a bid to improve the city’s air quality. Violators will face stringent action, he has warned. The organisers of the event will also face the music if crackers are burst. With snowfall in the hills of Uttarakhand and icy winds blowing across the UP plains, night temperature in Lucknow has dropped several notches. The shivering cold is knocking at the door as the temperature has dipped to 10 degree Celsius for the first time this season. 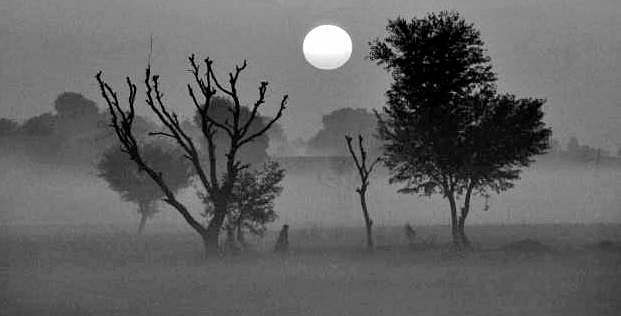 The mercury had been hovering at 16-17 degrees for several days but on Tuesday night, it saw a sharp fall of 5 degrees. It is high time the government authorities get their act together and make arrangements for shelter homes for those who spend the nights shivering on footpaths.